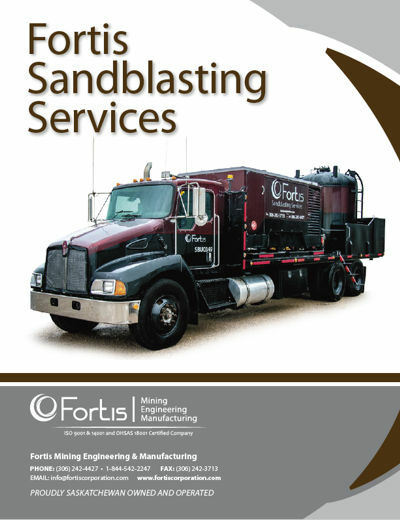 Fortis Sandblasting is an industrial sandblasting and painting service, specializing in the mining, construction and agricultural industries. We have some of the most efficient and cost saving sandblasting equipment in the industry. Our State of the art mobile blast unit will offer customers a cost effective solution for mobile metal prep. With the biggest blast pot in the industry, we can drive the truck into remote areas due to the high chassis design of the truck. With 16000lbs of material in a single fill there is virtually no need to refill on even the biggest of jobs. Using a gravity fed blast pot, less material will be used and with less parts there is less down time, saving the customer time and money.